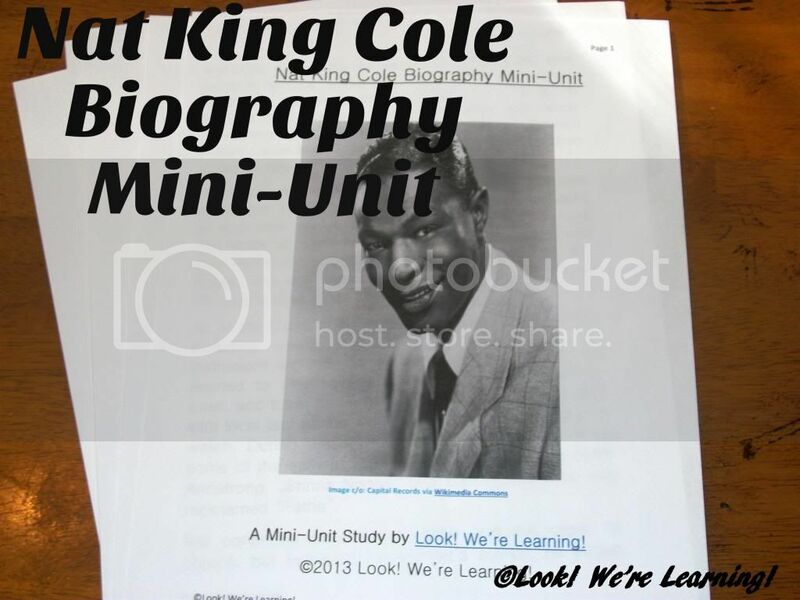 Nat King Cole Biography Mini-Unit - Look! We're Learning! Hey everyone! It’s November and we’re sharing our latest Living History series mini-unit! This month we learned about the life and legacy of Nat King Cole. We put together a biography mini-unit about Nat King Cole’s career, along with a few exercises, and shared it with the kids. We learned quite a bit about Nat’s life this month. For example, we learned that he learned to play the piano by ear and that he didn’t begin professional piano lessons until his pre-teen years. We were also interested to learn about Nat’s experiences with racism and how he refused to let those events make him angry or bitter. 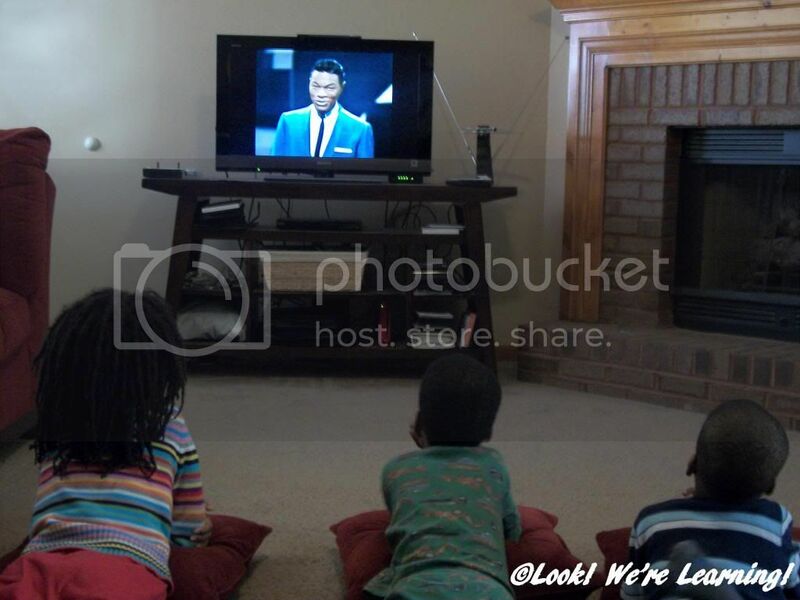 After we completed the unit, we watched “An Evening with Nat King Cole”. All of us ended up singing his songs the rest of the day. To use this unit with your family, feel free to download it by clicking the link below! And be sure to stop by next week to see who we’re learning about during the month of December! Just stopping by to say thank you for this great study of Nat King Cole! My daughters are both from Hait and black culture is very important to us. I’m always so happy to find unit studies that teach lack history in such a beautiful way!